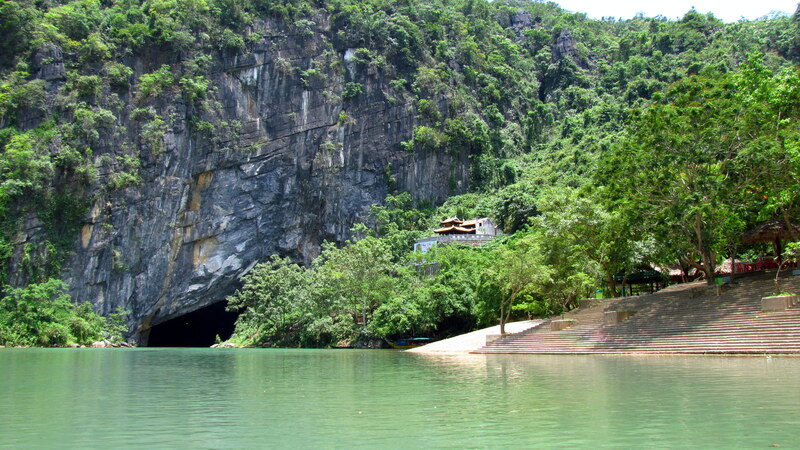 Phong Nha Ke Bàng Natural Park and its caves | Hello World! 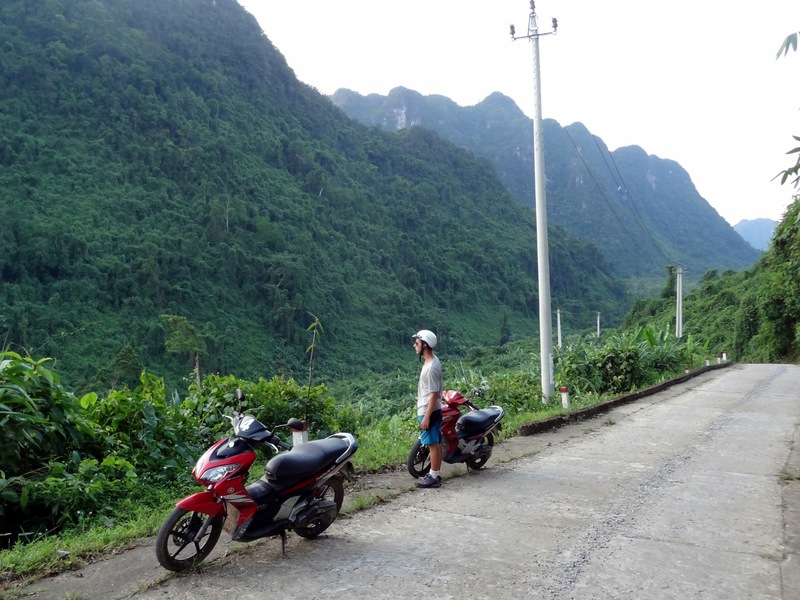 Phong Nha is a mountainous region at the border of Vietnam and Laos. 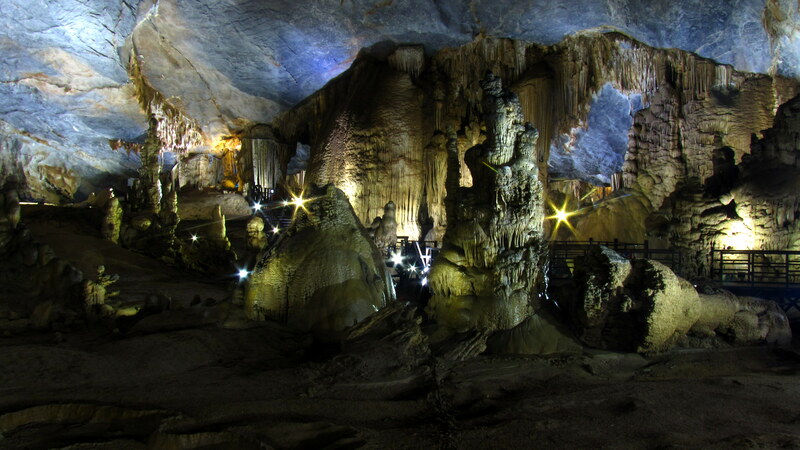 It is one of the oldest karst and vastest limestone area of the world. 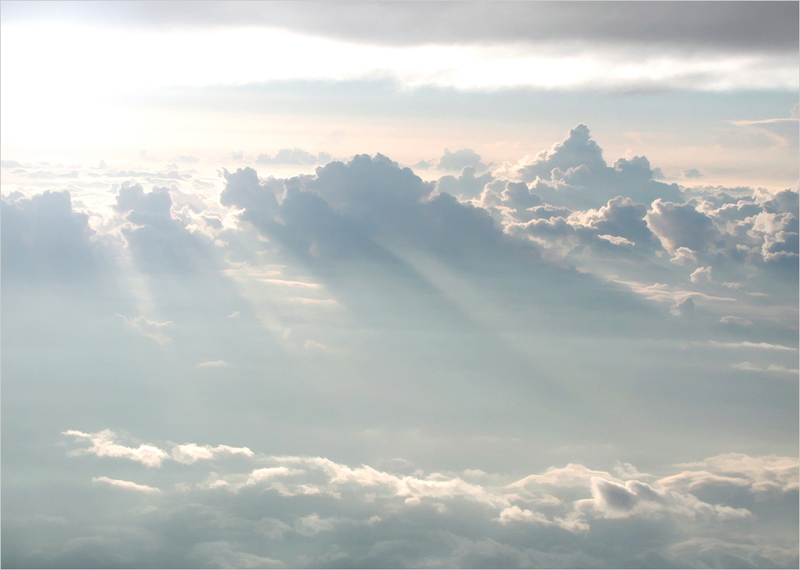 The region is 400 million years old, and the natural park covers 116 700 ha… It’s massive, in other words. 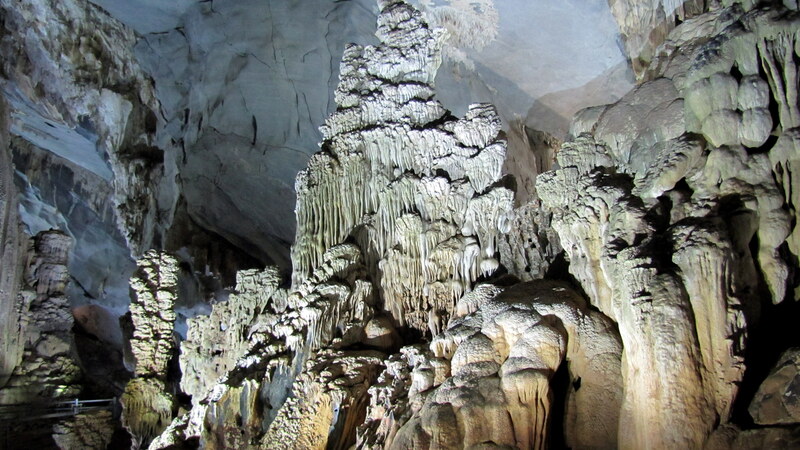 Thien Duong cave, a huge 31 km long cave contains the most beautiful stalactites and stalagmites collection of the park. Dark Cave, a mud cave we had to kayak to and make our way walking slipping and gliding through the mud with for only source of light our frontal lamps. We explored that cave with a group of 3 Swedish girls we had met a couple of hours ago and it was definitely a lot of fun. 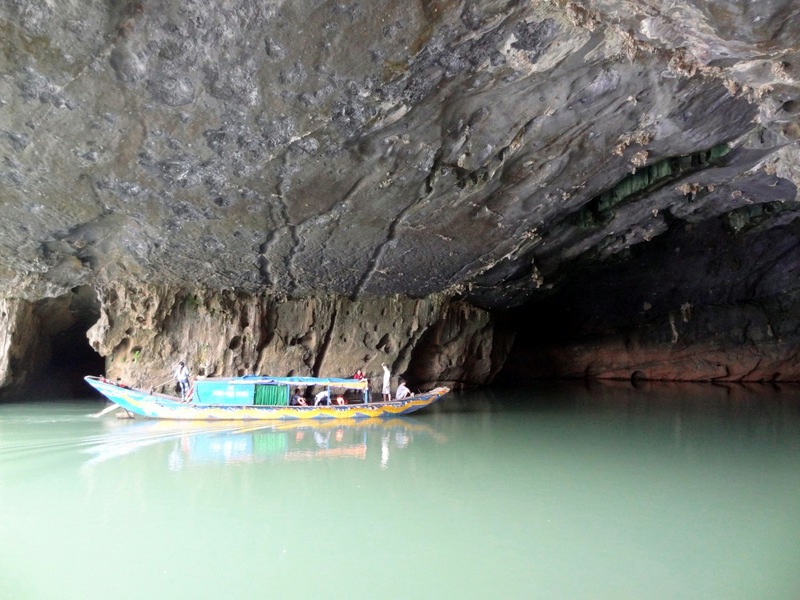 Phong Nha cave: A 1.5km river runs through the cave. 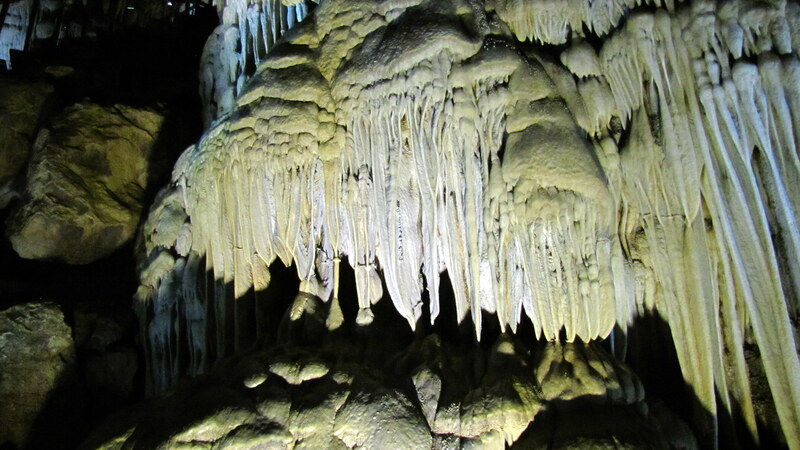 We arrived by boat and then walked around the caves. 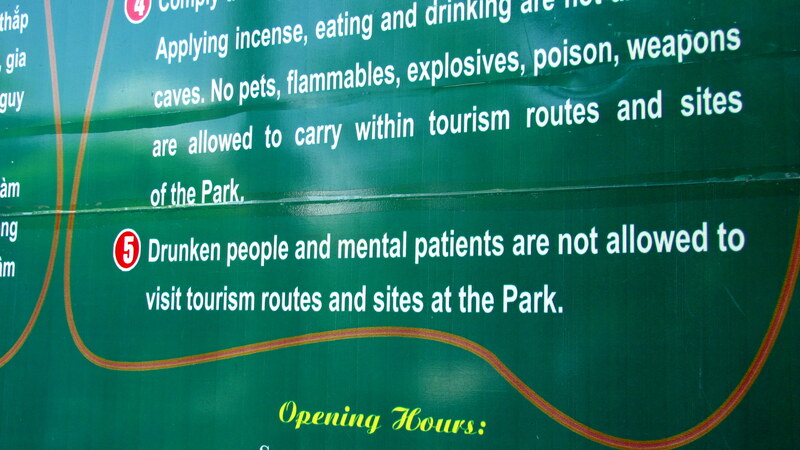 Otherwise, biking around the amazing scenery of the park was very cool too. Another biking fun fact, I was given a bike in which the key was apparently not holding well in its hole since I lost it in the middle of the ride. We now have four different buses and one boat rides ahead of us to get to Ha long Bay. Long trip hopefully worth it!